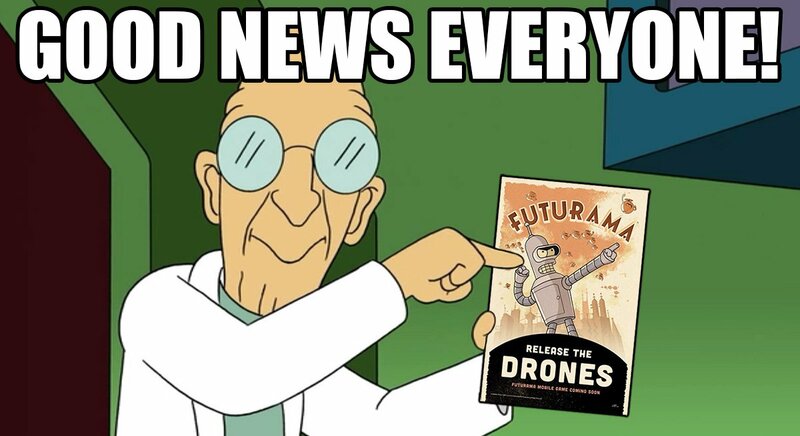 “Good News, Everyone” is a line spoken often by the professor on Futurama. It’s often the start of a conversation about the world coming to an end, but still … he sure says it in a happy way. Record yourself speaking the professor’s line — Good news, everyone — and share the audio file out. Some suggested places for recording and/ hosting are Soundcloud (which requires an account) or Vocaroo (which does not).